For those of you interested in the practices, aesthetics and the performance of new music, I wish to hereby invite you to come and join the guitar class of the 2018 Darmstadt Summer Course (14 to 28 July 2018). At this early stage I would like to first introduce you with the two flagship projects awaiting you at the course in which my trajectory was to offer you a context that will be of an opposite kind to what is commonly being associated once thinking about acoustic or electric guitar. As so for the electric guitar, we have commissioned 8 new works (2-3 minutes each) that will eventually formulate a cycle of 12 etudes referencing Villa-Lobos’ iconic 12 etudes for guitar written 90 years ago for the master Andreas Segovia. These new etudes are supposed to be premiered by participants in Darmstadt and among the composers writing these new etudes will be: Chaya Czernowin, Rebecca Saunders, Pierluigi Billone, José María Sánchez-Verdú, Clemens Gadenstätter, Christopher Trapani, Elena Rykova and Andreas Dohmen. For the remaining 4 etudes we are hoping to choose 4 composers that take part in the Darmstadt Summer Course 2018. The call for composers for this etudes project is already closed and the participants will be announced soon. 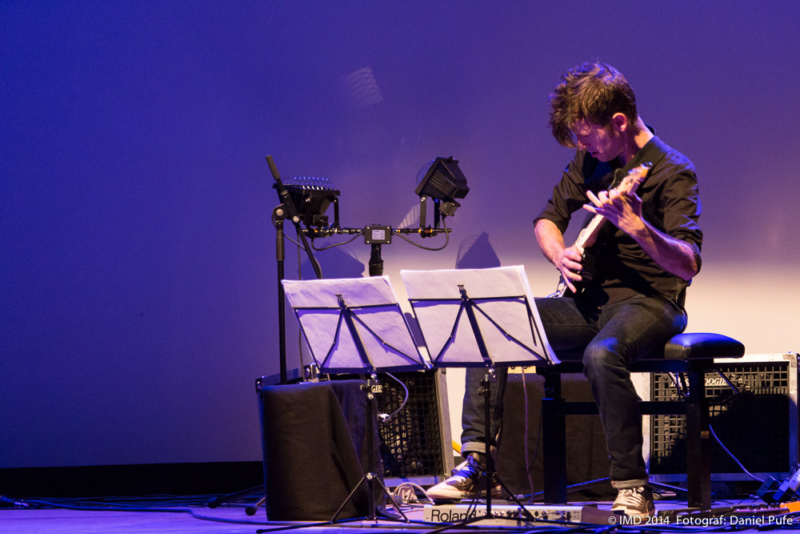 For the acoustic guitar, there will be a more electronic oriented project consisting of 4 new works (8-10 minutes each) placing the acoustic guitar in constant touch with electronics and double bass (collaborative project with the double bass class led by Uli Fussenegger). To this fixed setting of guitar, double bass & electronics, one more instrument (clarinet, viola or accordion) will be added in each work emphasizing the rich chamber music potential of the given instrumentation. Composers in this project are: Asia Ahmetjanova, Yulan Yu, Sylvain Marty & Juan Gomez with the electronic supervision of Carlo Laurenzi. Both projects will offer participants of the guitar class an intense direct contact with the composers. Workshop performances are also planned. The guitar class is open for both acoustic and electric guitar players and will of course also include various other additional activities, ranging from individual lessons, seminars, or small workshops and all the way to “on the spot” projects that celebrate one of Darmstadt’s core qualities: The spontaneous exchange, development and realization of new musical encounters.